Husqvarna's Kent "the Rhinestone Cowboy" Howerton won the Lake Sugar Tree 500 National with 1-2 moto scores, topping Maico rider Gaylon Mosier's 3-4 and Honda rider Pierre Karsmakers 2-7. Yamaha's rookie Bob Hannah won the second moto but DNF'd the first moto in Virginia when he hit "a firmly embedded rock in a berm" on his DW26 works Yamaha, destroying the chain and the alloy sprocket. In Germany, defending FIM 500cc Motocross World Champion Roger DeCoster dominated the day, going 1-1 to extend his series points lead over his Suzuki teammate Gerrit Wolsink. It was Roger's fourth win in a five rounds, but bad luck was coming his way with the next two rounds in the U.S. and Canada. When the smoke would clear from the '76 500cc Motocross World Championship, DeCoster would still hold just two points on Wolsink. Roger DeCoster on his Suzuki in 1976. Meanwhile, in France, the entire FIM 250cc Grand Prix field decided to boycott the race due to dangerous track conditions. The race was not rescheduled nor rerun. And in Finland in the FIM 125cc Grand Prix there, Suzuki's Gaston Rahier swept both motos to extend his points lead on American Honda rider Marty Smith, who DNF'd one moto and finished second in the other. Second and third overall went to relatively unknown Finnish riders Got Liljegren (KTM) and Matti Autio (Suzuki). 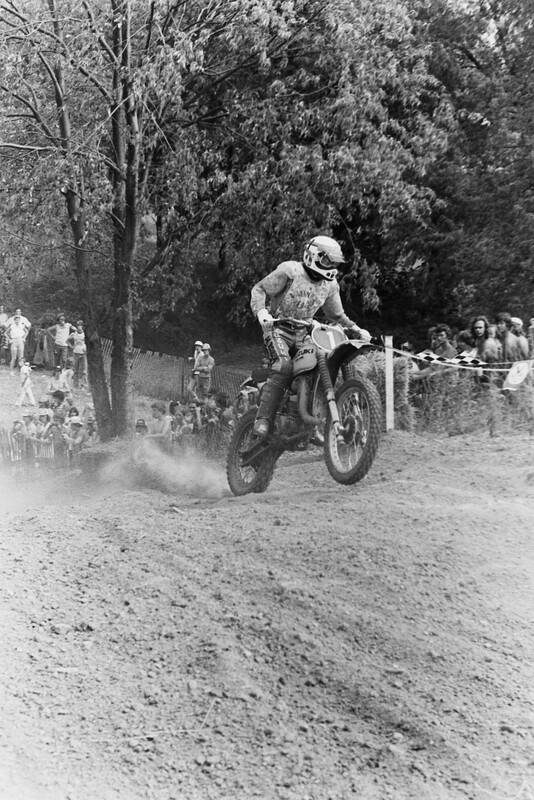 Gaston Rahier in 1976 when he was getting the better of Marty Smith for the 125cc world title. 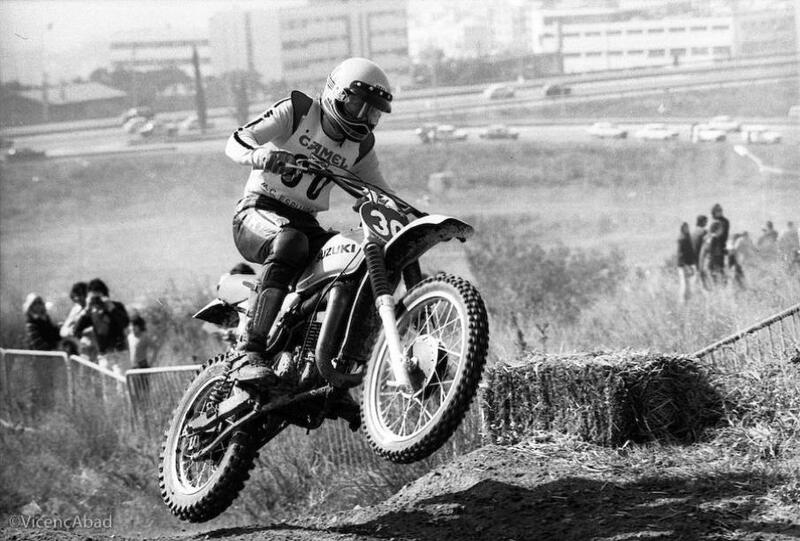 This one actually took place on June 11, 1983, but we missed it yesterday: Sixteen-year-old Ron Lechien of Team Yamaha won the Orlando Supercross, remarkable given that this was the pre-125 class in AMA/Wrangler Supercross! The Dogger beat fellow 125 National Champions Johnny O'Mara ('83) and Mark Barnett ('80-'82) for the first professional win of his career. FIM 250cc Motocross World Champion Danny LaPorte, hoping to successfully defend his title, won the Grand Prix of Germany over his rival, the former 250cc World Champ Georges Jobe. Ultimately, LaPorte would come up short in his quest to become America's first two-time world champ.